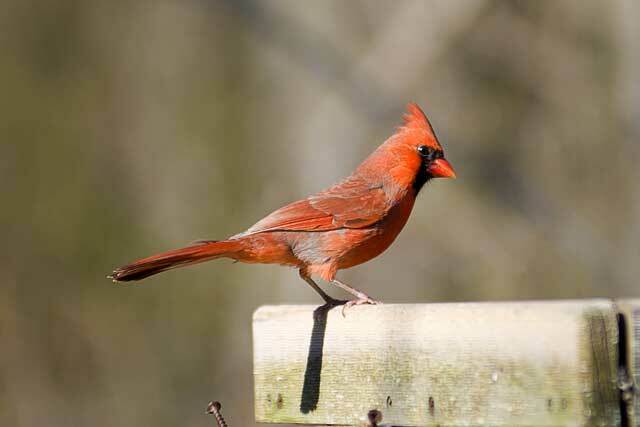 Cardinal (Cardinalis cardinalis). Male. Open woodlands, backyards.